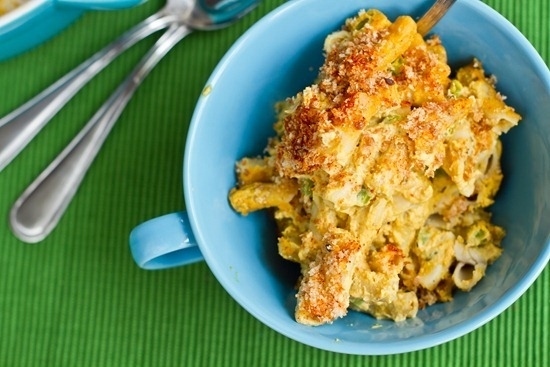 Butternut squash pureed into macaroni and cheese just sounds like a match made in heaven, doesn't it? It is also a fun way to sneak in another veggie. Get the recipe here. 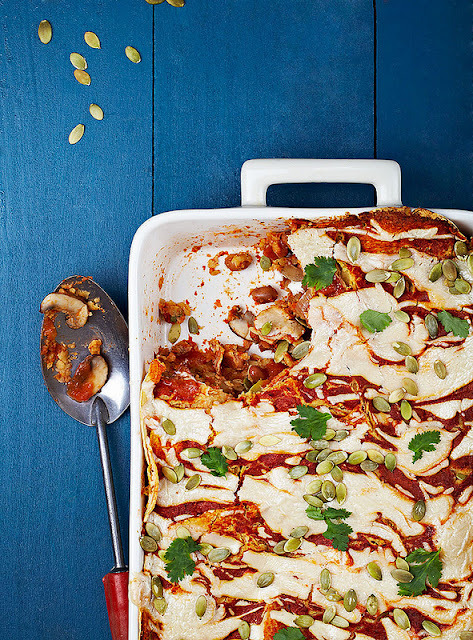 Layers of corn tortilla sopping up spicy, fragrant, red sauce then overstuffed with mushroom, pinto beans and roasted potatoes. On top is a voluptuous cashew creme that will have you rolling your eyes to the back of your head like a zombie. An enchilada zombie. 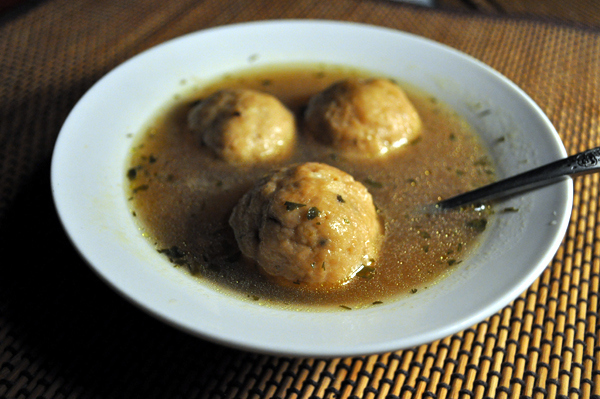 These matzo balls are firm and hold together awesomely well. 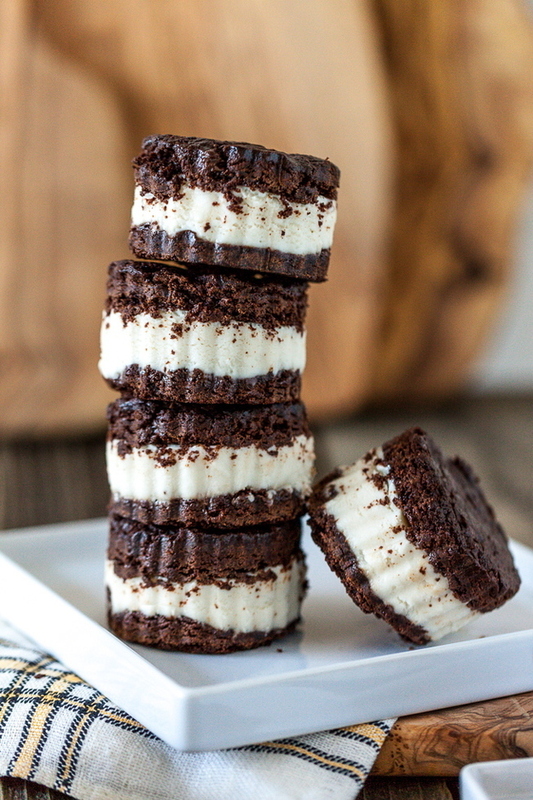 They're soft on the outside, but delightfully dense and toothsome in the middle. Try it out for yourself. 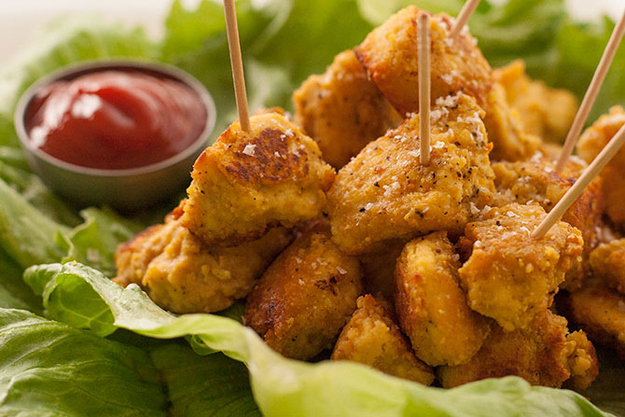 This tofu chick'n recipe is so versatile. You can eat them on their own as popcorn chick'n or nuggets. You can put it in a wrap or a sandwich, on a pizza – so many possibilities! Try it! 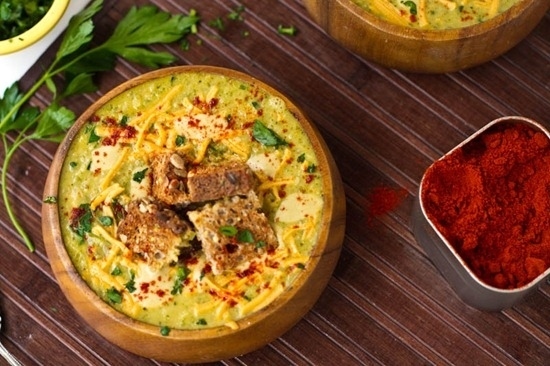 Why should dairy eaters have all the creamed soup fun? Create this delicious vegan option, instead. 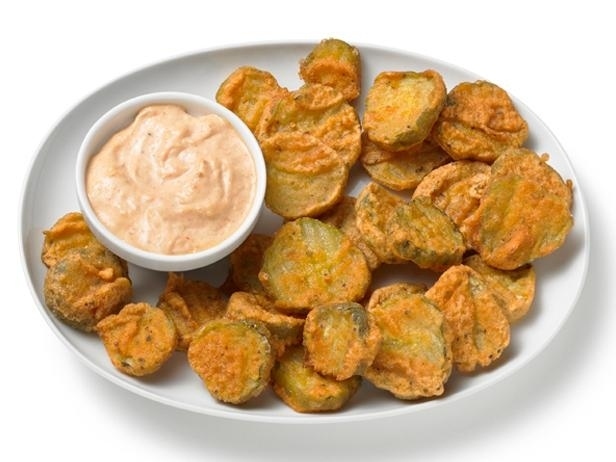 It's hard to believe the pickle can be improved upon, until you fry it up and taste it for yourself. Get the recipe here. 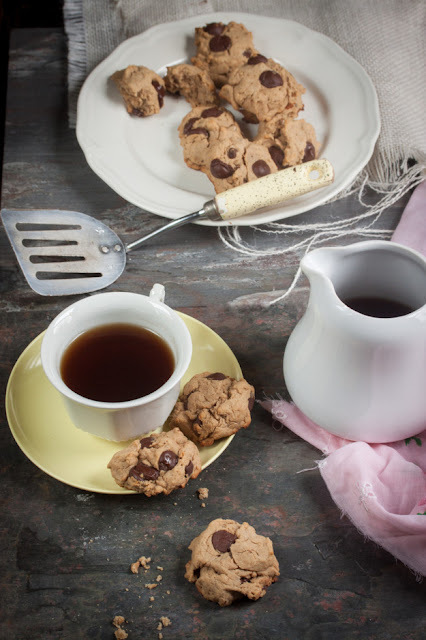 In this amazing recipe the sugar content is fairly low. They aren't cakey, but not too crisp either. Somewhere in the middle with a pleasant crunch and a complex sweetness. And of course, they have a lovely peanut buttery undertone. A fluffy potato biscuit soaking up a deeply savory gravy that is at once mysterious and familiar. The stout really gives this dish an allure, and two kinds of mushrooms make it meaty and earthy and just umami like nobody's business. And ya know, for a special occasion, it's not too fussy. 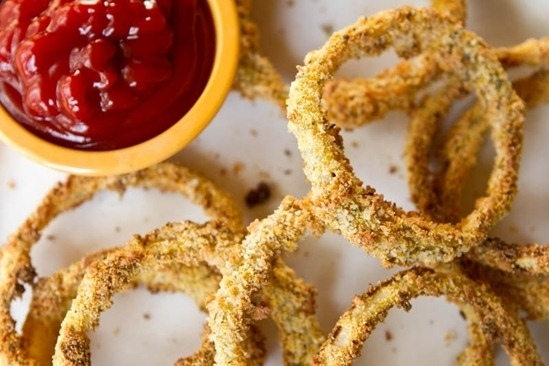 Crispy, flavorful, and good-for-you, these onion rings make a great snack or addition to any meal. I could also see a big batch of these being made for a party served with a homemade dip. Can also be made gluten-free. 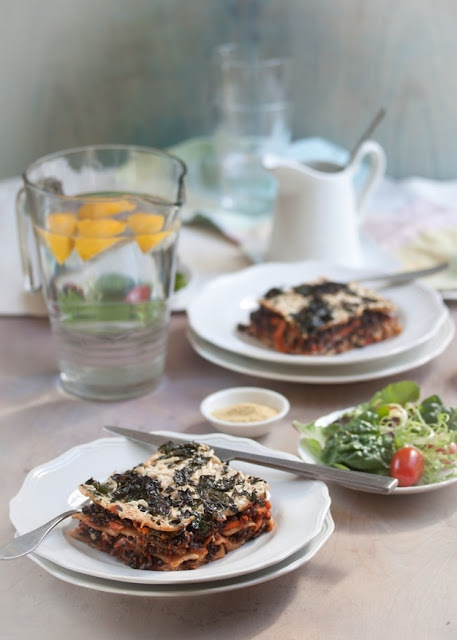 This delicious lasagna recipe will make you forget about meat and cheese with kale and lentils!! Get the recipe here. 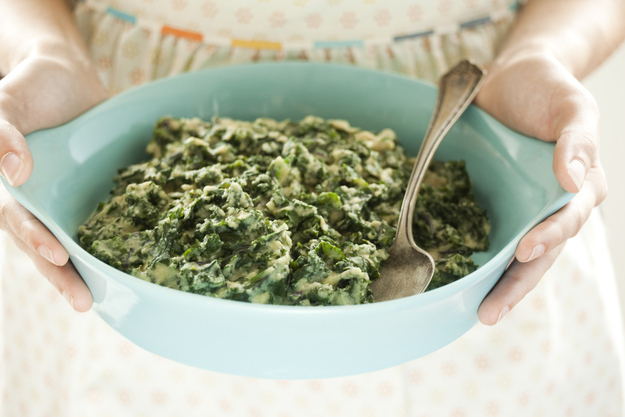 Nondairy milk and cashews combine to create a creamy sauce for kale or your favorite leafy greens. Try it for yourself! 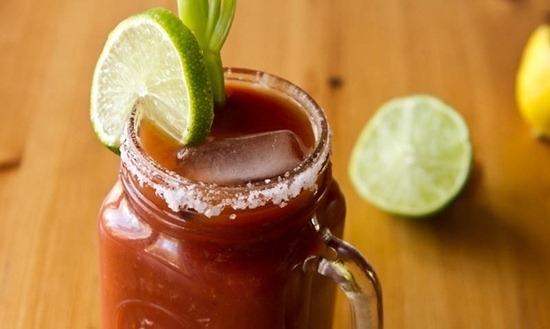 Is this a vegan version of a Caesar cocktail or is it an adapted version of the Bloody Mary? I can't decide. Whatever you call it, this is one fantastic drink with a whopping 4 servings of vegetables per 500 ml glass. Be sure to add the seasonings to taste and you can't go wrong. Bottom's up! They say avocados and chocolate are brain foods right? (I don't know who says, but it seems like something I might have read somewhere). 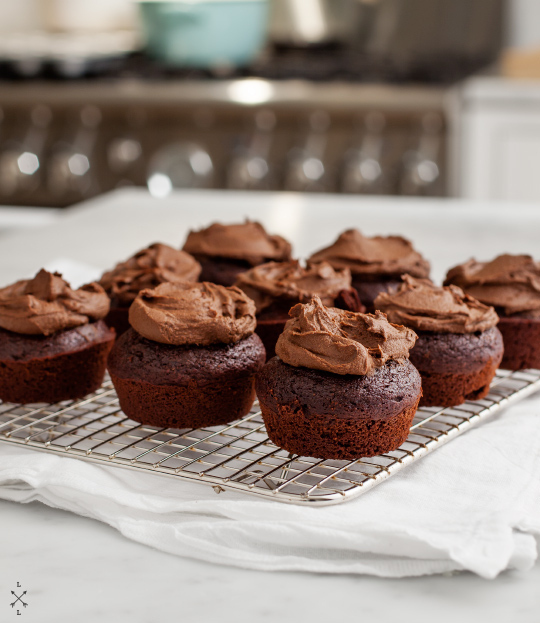 I know it sounds weird and maybe a little gross to put them together but it actually works to make really thick and rich chocolatey frosting. Try out this recipe. 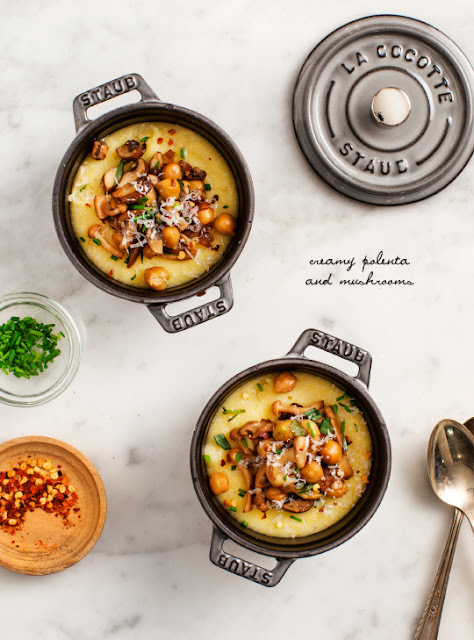 Creamy polenta, chickpeas and a mix of sautéed mushrooms & tarragon. This recipe is sure to be a main stay. 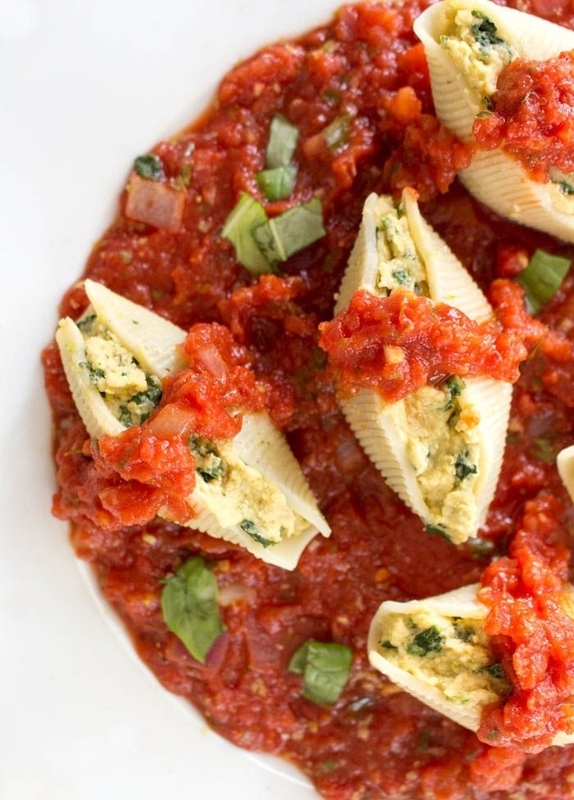 Almonds blended with almond milk make a rich sauce for this vegan pasta dish. 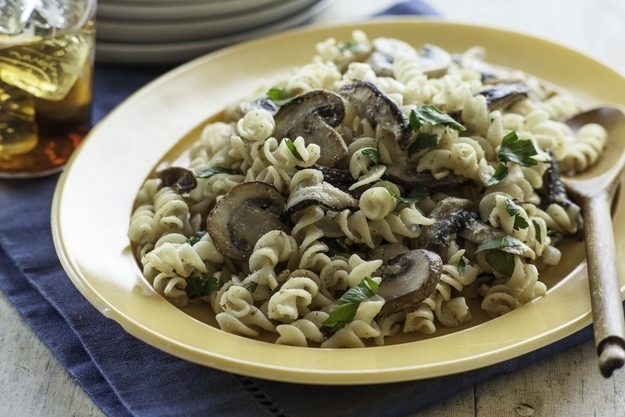 We like the flavor and smooth texture of spelt pasta and the way rotini traps the sauce, but feel free to substitute your favorite pasta. Get the recipe here. For the full diner experience, crack open a jar of pickles, whip up some vegan milkshakes, and make sure you have marinara sauce on hand. And remember, all food tastes better around 2AM. Dig into the recipe here. 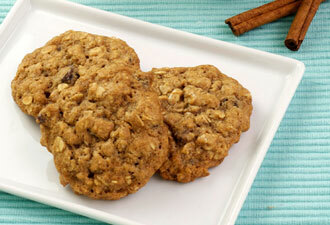 A double dose of cinnamon gives these cookies a wonderful spicy aroma and even bigger cinnamon flavor. Try them out now! 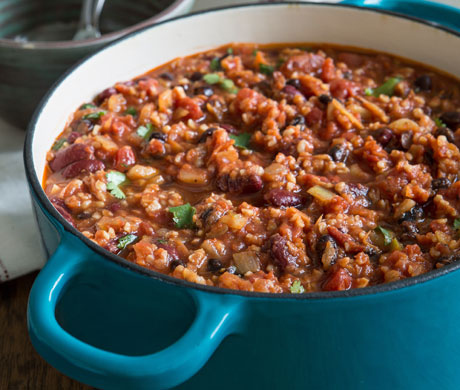 Hearty, healthy, and always ready to make you happy, this chili makes for a dependable partner. 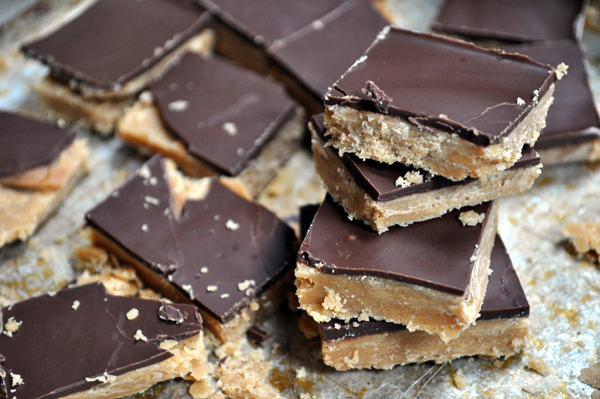 Whip up a batch with this popular recipe. 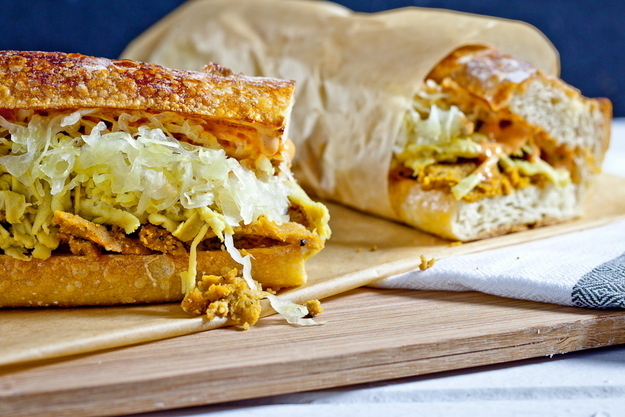 A hefty sandwich, filled with sauerkraut and tangy Russian dressing that oozed out of the edges of the sandwich with each bite. 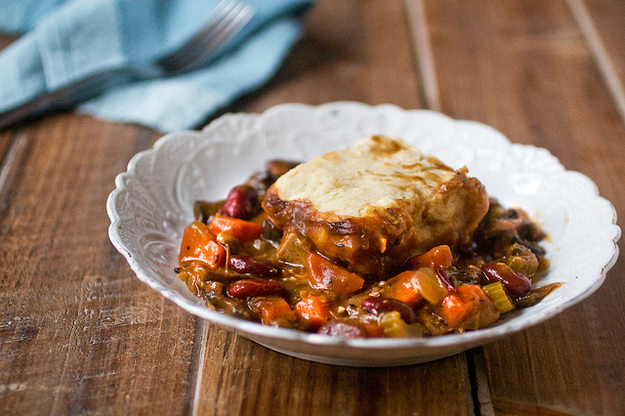 Filled with marinated seitan and wrapped in warm rye bread. Try the recipe yourself! "Chicotta" is a new creation that will change the way you look at plant-based cheeses. It's a ricotta-like cheese made from… chickpeas! With just some chickpeas and a few other simple ingredients, you can whip up the creamiest and most delicious non-dairy cheese you've ever tasted. Try this recipe tonight. 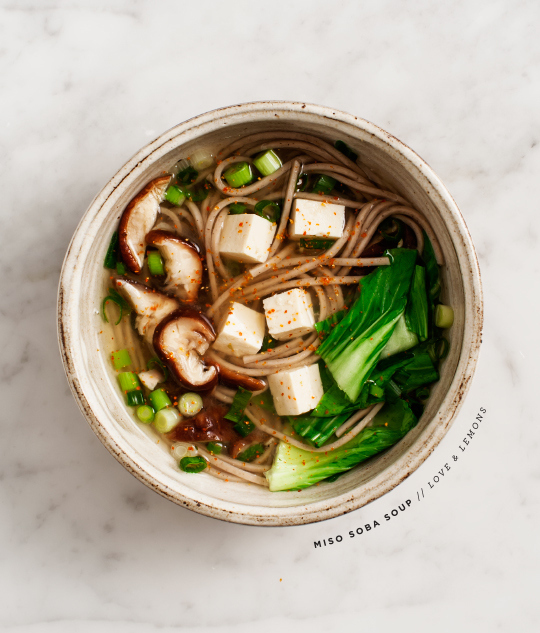 This soup is full of warming healing ingredients (shiitakes, ginger, miso, etc)… and would be the perfect thing if you're under the weather… figuratively or quite literally. Get the recipe here. Being a sandwich, this is totally a legit lunch. Grab a pink of Trader Joe's "Soy Creamy" vegan vanilla ice cream! Get the recipe here. 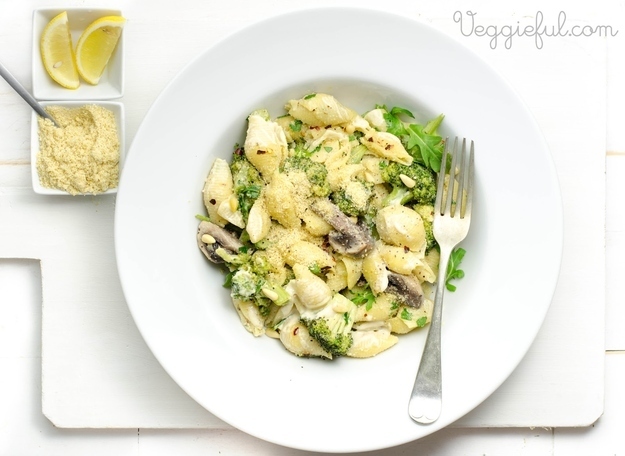 The vegan parmesan goes so well with the creamy mushrooms, the salty broccoli and the toasted pine nuts with the touch of heat from the red chili flakes. Yum yum yum! 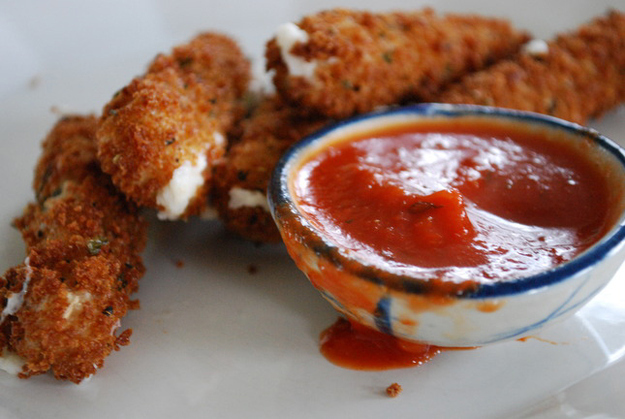 Try this recipe tonight! This recipe is very simple, but you need to know two things before we begin: you must have a candy thermometer for this recipe, and you must read through the entire recipe before you start. Everything comes together quickly, and I certainly don't wish a candy disaster on anyone. Not only is this burger healthier and yummier than the original, it is also extremely easy and crazily filling! 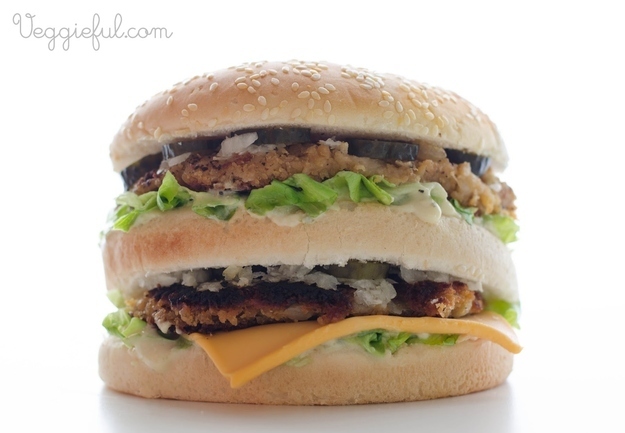 What a great way to impress your dinner guests with a vegan Big Mac! Try this recipe now! 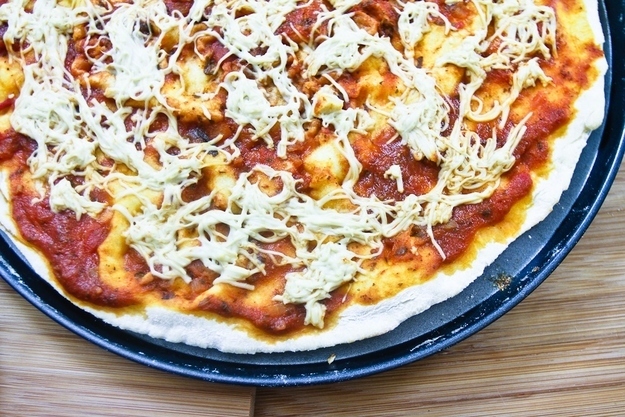 Nothing beats a yummy cheezy pizza…. Mmmmmm. Get the recipe here.